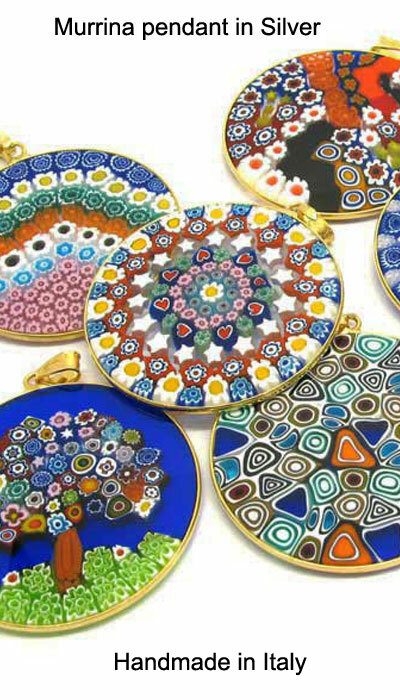 Murano Glass Jewellery & Bijoux Venice - Made in Italy - here you can find B2B Murano Glass Pendants, Necklaces, Parura, Beads, Earrings, Bracelets, Watch, Sterling Silver, Rings and Glass Objects. Murrina.it is located in Murano Island - Venice, Italy, established in 1970 by the experience a producer of Murrine Veneziane, strong of his experience and knowledge thank's all these years, in 1985 he decided to begin a new production of jewelry articles, different from the ones offered from other factories and shops, all certified and guaranteed : Original Murano Glass - Made in Italy. Some clients said: Thank you VERY much for being so quick. And we try to be every time better! We deliver our production only to shops and resellers! Not normal people! 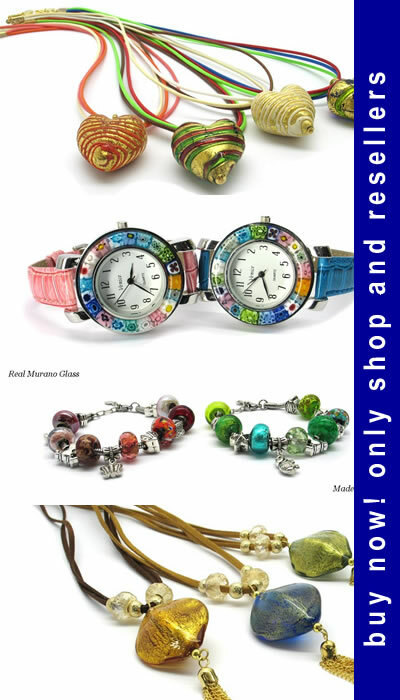 We sell only selected items, amazing, wonderfull pieces, so You can sell only the best of Italian Hand Made Murano Glass! We sell products in Murano Glass all over the world.